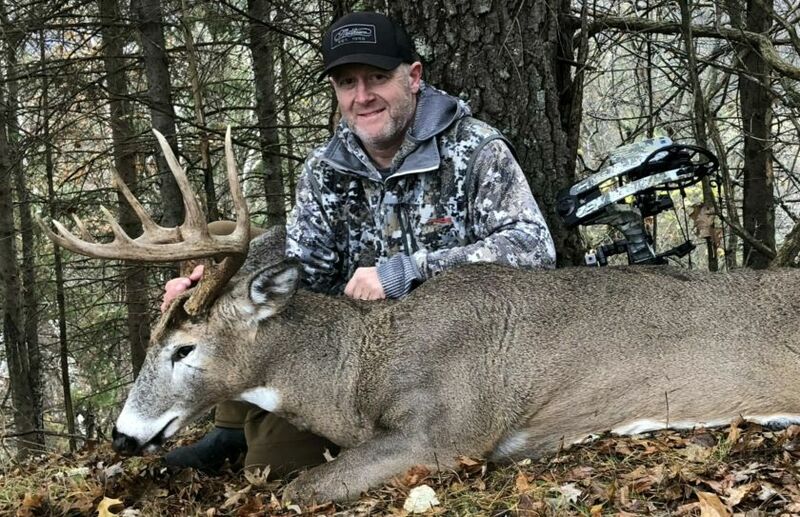 This Mathews Vertix review was a hit on the range and during the 2018 whitetail rut. The 30" axle to axle Vertix with a 27" draw and Maxima Red arrows, is shooting over 270fps. There was no better way to review the new Vertix than in the field. Whether on the range or in the stand, the new Mathews did not disappoint! The foundation of a low impact treestand entrance, includes a set of strategies designed to keep deer from ever knowing that you are hunting them. After all, in deer's mind if it didn't see you, hear you or smell you, were you even there? 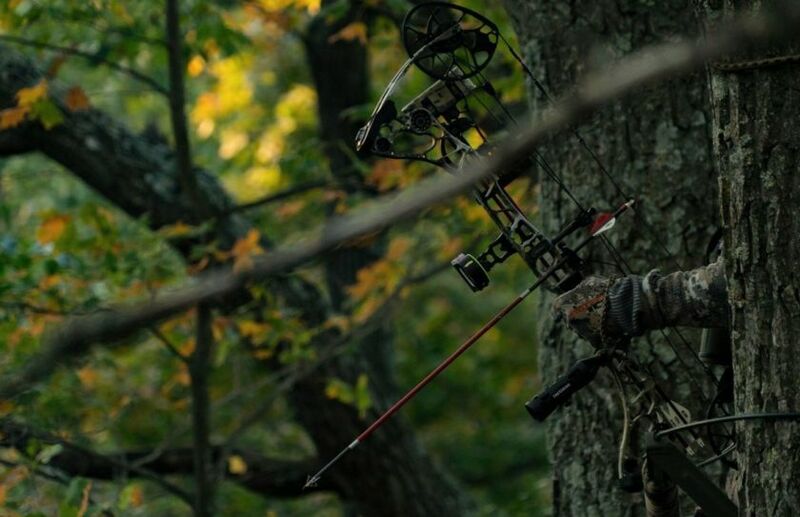 Learning to access your stands without a trace, can skyrocket your success this Fall! With a little elbow grease and a sharp saw, creating a bowhunting travel corridor for bucks can be fast, easy and highly effective. 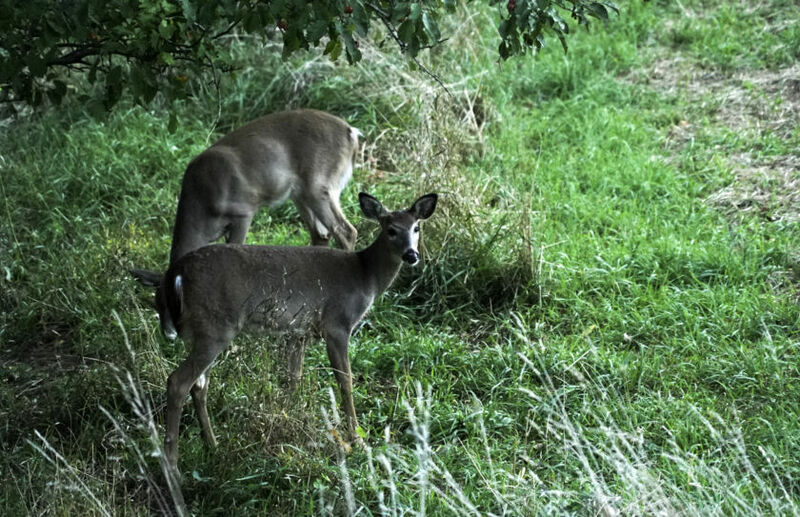 Even travel corridors created during the late Summer can begin immediately being used by the local deer herd, just in time for the start of the annual archery season! The #1 way to fool a whitetail's nose, revolves around your ability to mimic the skills of Earth's greatest ambush predators. Your ability to control your scent while deer hunting doesn't necessarily include your favorite spray, dust or scent contraption instead, your journey begins months before you ever climb your treestand. 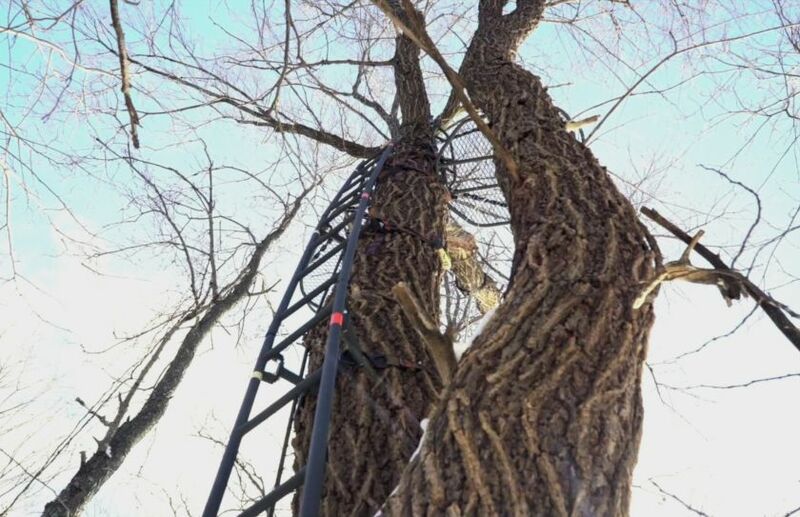 As the level of deer hunting pressure increases, so does the need for your treestand setups to be perfect. 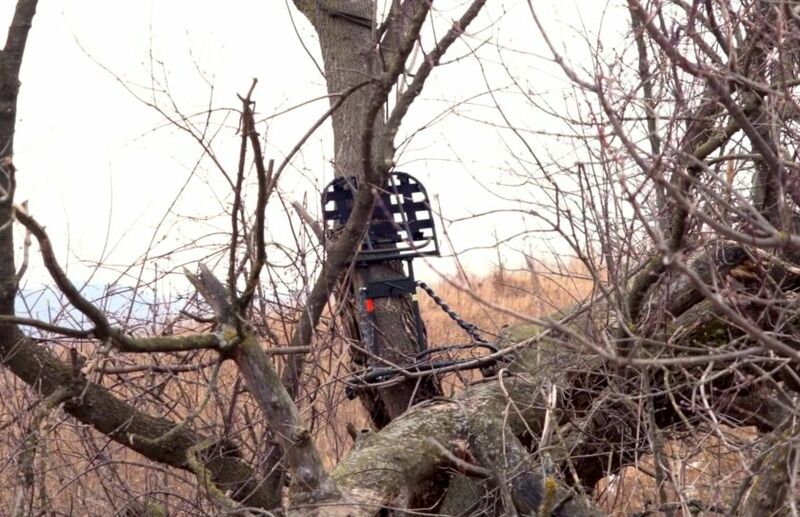 Treestand setups for high pressure hunting need to allow you to use them like a predator, without deer ever knowing that you were there. On small parcels you can't afford invasive setups! Do your setups pass the test? This particular stand location resulted in 7 shot opportunities in 2017. 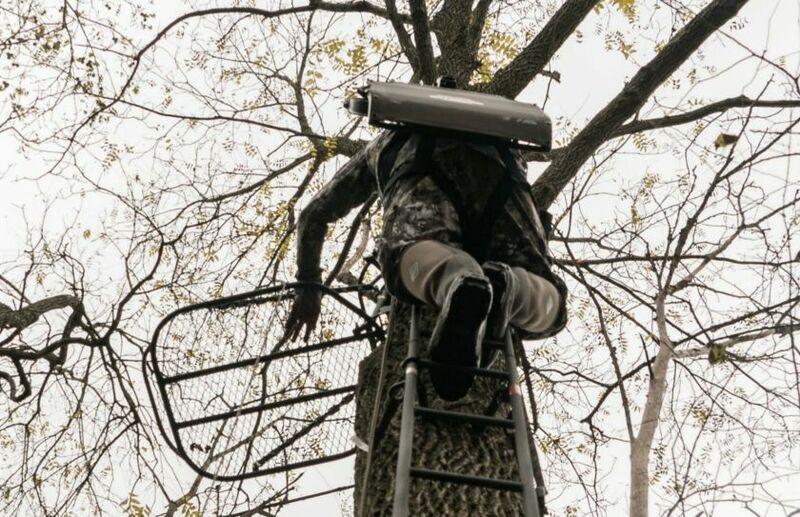 It had all the qualities of the perfect ladder stand setup before the season even began, and it did not disappoint! 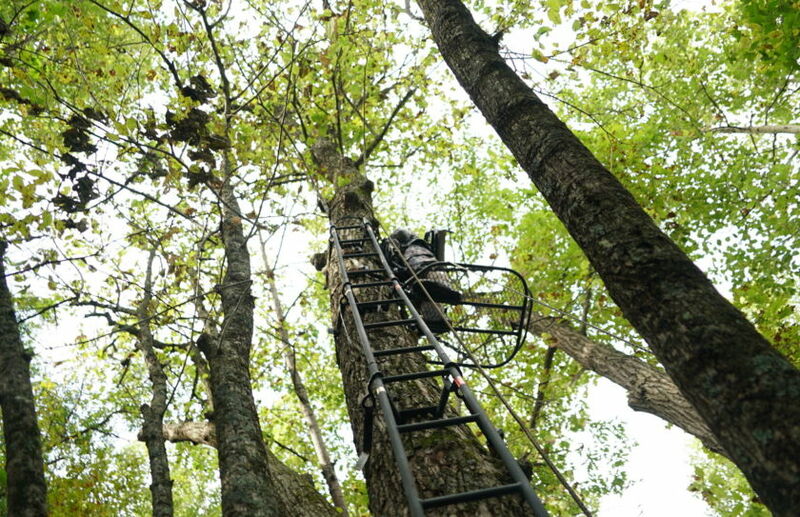 A screened access, a hidden climb and a silent ladder stand are just a few of the ingredients for the perfect ladder stand setup. Since 1992 I have had the pleasure of shooting nearly every model that Mathews has produced. I find it crazy that after 25 years and so many models, 1 bow stands far above the rest: The new Mathews Triax! This highly efficient, insanely smooth, and ultra quiet little speed demon is the best pure hunting bow I have ever owned. All Day In One Treestand: Waste of Time? As as the decades of deer hunting tick by, I find that my number of sits that are all day in one treestand, are less and less. While sitting in one tree for the entire day sounds cool on paper and may be a great way to impress your hunting buddies, the practice may not be the best use of your time, as often as you think. Folks, it really doesn't get much better than this, for this time of the hunting season! 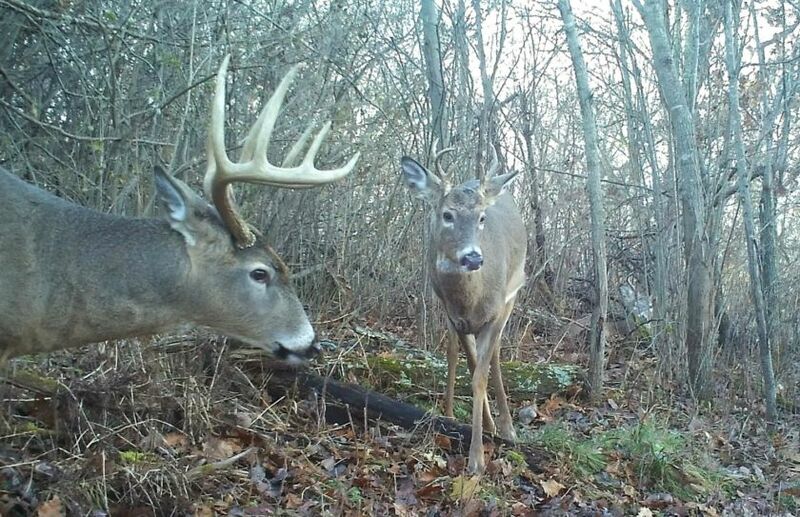 Understanding this important weekend whitetail forecast alert, will make sure that you can hone in on the target buck you are after. 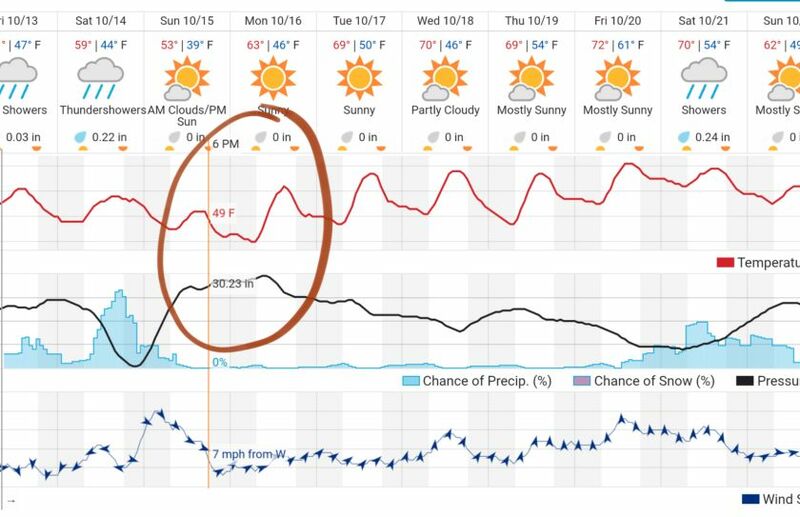 Many great bucks will fall during this weekend weather pattern! Are you ready? What Time To Enter A Treestand? The only thing certain about what time you should enter a treestand, is that there is no set time that works for ever stand location. 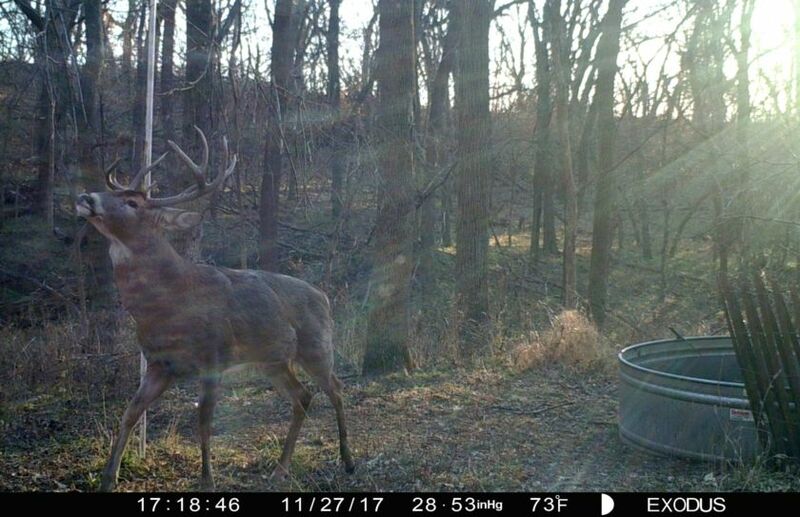 Whether you are hunting during the morning, afternoon or all day, there are several factors of timing that you need to consider when deciding when to head to your favorite treestand.